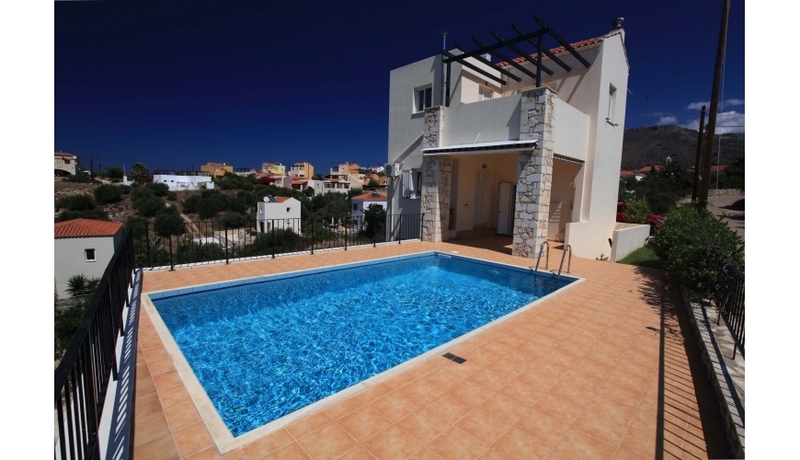 A fantastic 3 bedroom villa with a private pool just a short stroll from the centre of the ever popular village of Plaka. With amazing Panoramic views to the Sea at Souda Bay, the White Mountains and the surrounding hills and countryside. 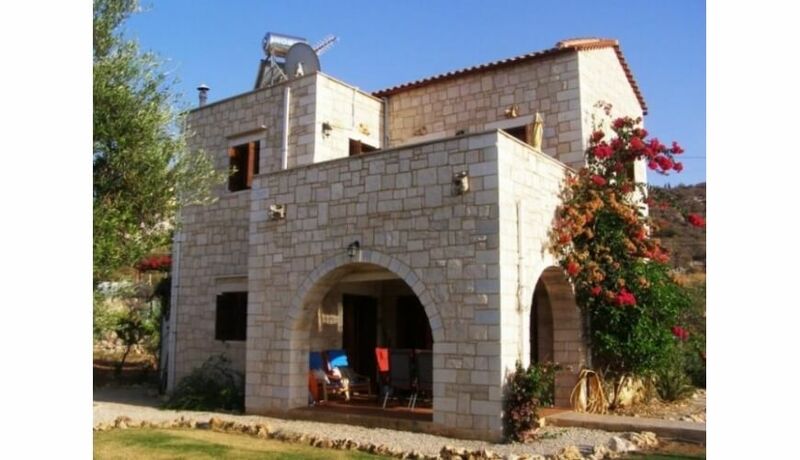 This lovely villa would make an ideal holiday home, full time home or would make a great investment for holiday rental. 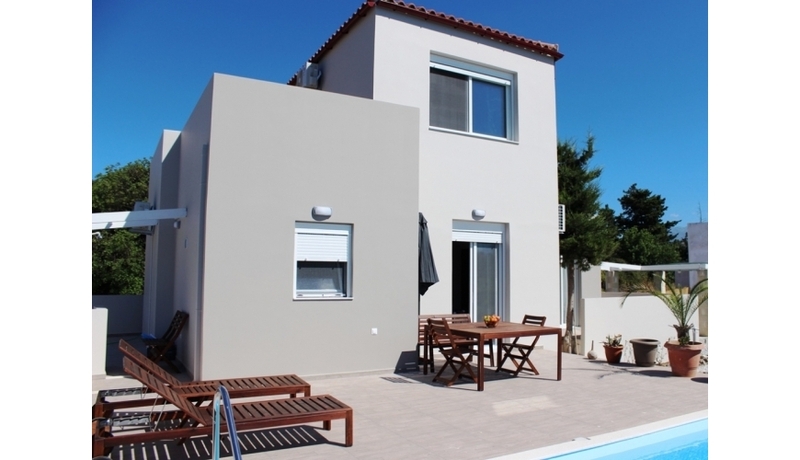 Entering from a quiet yet fully tarmacked road, this lovely villa is in the perfect location for both local beaches and the popular village of Plaka. Completed in 2008 this villa has an’ upside down’ layout making the very most of the fabulous views from every area. The ground floor consists of 2 double bedrooms, 1 en-suite shower room and a further separate bathroom with full bath. Both bedrooms have patio doors leading to their own terrace areas and a further door from the hallway also leads to the pool and garden area. The upper floor is an open plan kitchen, living and dining area with double sets of doors leading to the upper terrace with its truly amazing sea views. The living room has an attractive stone built fireplace for enjoying cosy evenings out of season. Also on this floor is a further double bedroom with its own patio and a fully tiled WC. The lower floor of the villa is an extremely spacious basement with full utilities, garage and storage area with its own separate entrance and gated driveway. With every amenity carefully thought of by the current owners, this villa is perfect for holidays and all year round use. What do you get when you multiply 2 by 4?